Will Houston Online Donut Delivery Drive Itself? When we think about online donut delivery in Houston, two things come to mind. First, how new it is. And two, the still untapped potential of this new market. Before smartphones, tablets, email, and even the internet, there was only one kind of Houston donut delivery. This was the kind where you page through the phone book, pick up the phone, and schedule an order. It would arrive at an appointed time later in the week. As the demand for faster donuts increased, Houston donut shops began to expect quicker orders, and made same day orders available for pick-up. Pick-up orders are good, but they’re still not delivery. As you can imagine, however, unlike local pizza companies, the demand was never enough to hire a fleet of donut delivery boys. Luckily, technology upgrades (like email, text messaging, and ecommerce) that made communication faster, happened around the same time that companies like DoorDash, GrubHub, and Favor, were providing specialized delivery services to interested parties. Today, if you’re craving donuts, getting fresh baked donuts delivered to your door is as simple as making a simple internet purchase. You indicate the desired time and address of delivery. This sends information to the Houston donut shop of your choice to prepare the order. Simultaneously, the same information is sent to a delivery service, such as DoorDash. This alerts a courier with pick up and delivery instructions. Best of all, with everything automated online, no one even needs to handle cash. This makes the entire transaction simpler, quicker and safer for everyone, as the money is simply transferred from one account to another via cyberspace. 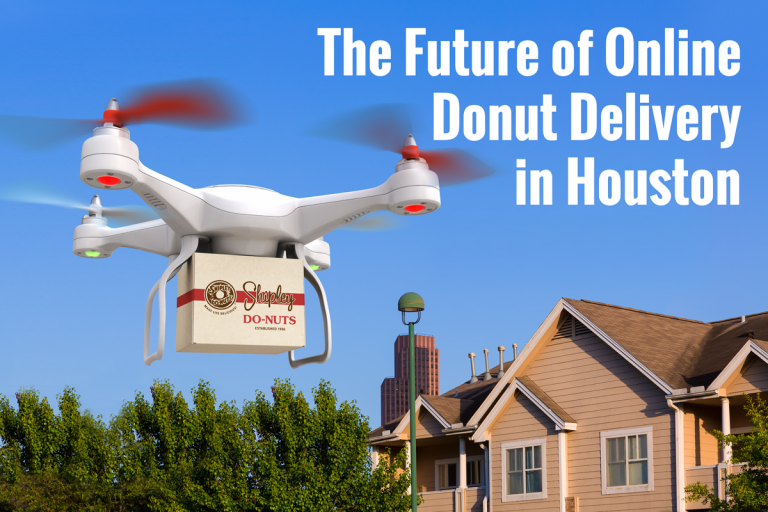 With Amazon experimenting with hi-speed delivery programs such as Amazon Prime Air, and Tesla and Google leading the way with self-driving cars, it only takes a little bit of imagination to dream about the possibilities of Houston online donut delivery. Self-driving donuts and drone delivered donuts could be just the beginning. Who knows, if fifty years ago there was no such thing as online donut delivery in Houston, who’s to say that in another fifty years there won’t be donut teleportation or donut replication machines? 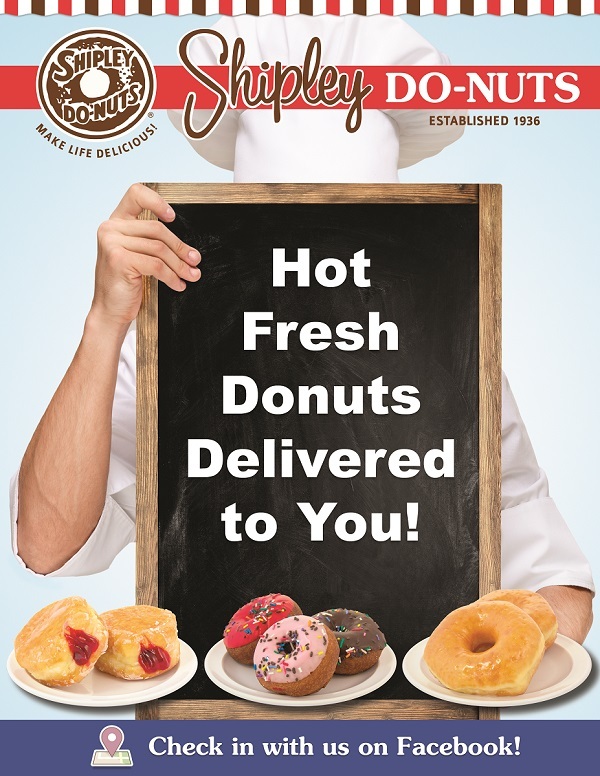 If you’re looking for the best in online donut delivery in Houston right now, visit Houston’s acclaimed Shipley Do-Nuts online today. We offer a fantastic variety of hot, fresh donuts, kolaches, beignets, and breakfast catering, at two Houston locations. Downtown and far west.